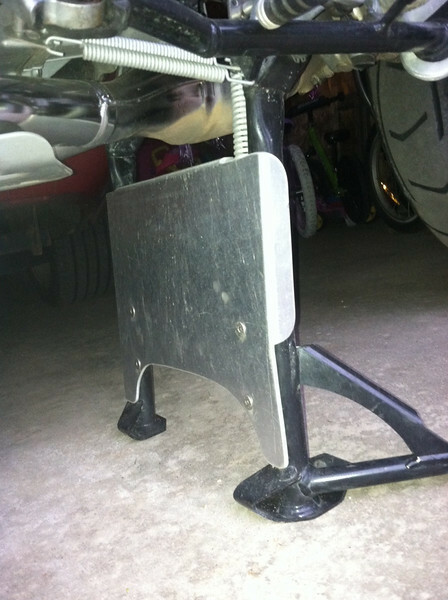 Centerstand skidplate for the 2013 R1200GSW. Hand fabricated from 1/8" aluminum. Comes with formed aluminum mounting straps and countersunk stainless steel mounting hardware. Price: $55.00 Email me at dakotabeemer@hotmail.com to order.